CANCUN & CAMPECHE, MEXICO – While talking boxing with Mexican sports fans, the outsider soon understands that this sport would inspire the same unwavering passion of football and baseball, if only the matches took place as often. Nearly all Mexicans know of Santos Saúl Álvarez Barragán, but if not, it is only because the boxer is most often referred to by his nickname “El Canelo” or The Cinnamon one, so named for his red hair and fiery fighting style. Born in Guadalajara July 18, 1990, El Canelo Álvarez grew up on the family farm in Juanacatlán in the state of Jalisco, the youngest of seven brothers. The memorable evening of June 28, 2010, saw each brother fight in the same event. Three of them, making their professional debut, lost. In the sporting world, winning tends to build a fan base. As the light-middleweight champion, Álvarez has never lost a fight. Equipped with an explosive style, the discipline to temper it and a profound knowledge of the sport, his skill set gives him enormous watchability. Former Mexican-American champion Oscar De La Hoya actively promotes El Canelo Álvarez as a great future champion and superstar. The support of a promotional vehicle like Golden Boy Promotions, headed by De La Hoya, assures him considerable financial backing and media exposure. Like his mentor, El Canelo carries massive entertainment value. He’s also engaged to a Televisa sports reporter. On November 4, 2010, El Canelo announced his engagement to Miss Mexico (2003), Marisol González, considered one of the most beautiful women in the country. Her online portfolio reveals a chameleonic beauty. With a seven-year age gap between them, their relationship is high profile to say the least and something of a curiousity. While El Canelo is by far the wealthier of the two, Marisol has achieved professional success as a model, actress and as a sports reporter for Televisa. Becoming the youngest world champion across several weight classes would give El Canelo a special place in both boxing history and in the hearts of the Mexican people. If this becomes a reality, the youthful El Canelo may come to have what, on some level, every man and woman wants: immortality. He is admired for his superior athletic ability and all the benefits that come with it. His VIP status extends across Mexico and on the other side of the border in the United States. The team around El Canelo, it would seem, cultivates his ability and confidence by incrementally increasing his level of competition. El Canelo tends to be heavily favoured in his matches. This strategy of managing risk leads some to believe that his boxing record (34-0-1) is deceptive. Many supporting fans believe he still has a lot to prove. “He has promise. 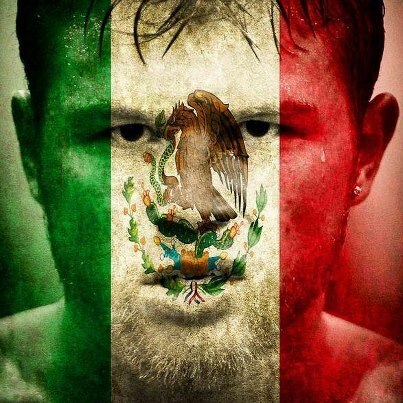 Many Mexicans see themselves in his victories. Therefore, he motivates the people to try harder, as they help motivate him,” says Cancun taxi driver Agenor Chan Acosta. When El Canelo takes on his next opponent December 4, 2010, tens of millions of Mexicans will be watching his every move. If the state of boxing is a reflection of the people’s hopes and dreams, they too will be on display. Gallery | This entry was posted in Campeche, Cancun, Mexico. Bookmark the permalink.